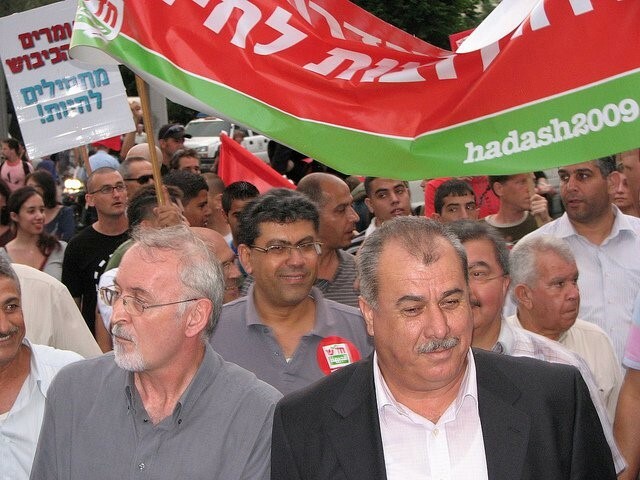 On Sunday 23 March 2014 at 10:30 am, the Tel Aviv Magistrate’s Court will issue its decision in the political case against leading Communist Party of Israel member, MK Mohammed Barakeh, the head of the Democratic Front for Peace and Equality (Hadash). The indictment against MK Barakeh, filed in 2009, included four different charges, in four different places and at four different times, all related to MK Barakeh’s anti-War, anti-occupation and anti-Wall protest activities. In November 2011, the court dismissed two counts of the indictment on the grounds that the alleged actions fall within the scope of his parliamentary immunity and therefore, he cannot be criminally charged with these acts. Two charges remain: assaulting a right-wing activist during a demonstration against the war in Lebanon in 2006, and obstructing the work of a police officer during a demonstration against the Separation Wall in Bi’lin in 2005.Adalah’s General Director, Attorney Hassan Jabareen, together with Attorneys Orna Kohn and Aram Mahameed have been representing MK Barakeh.